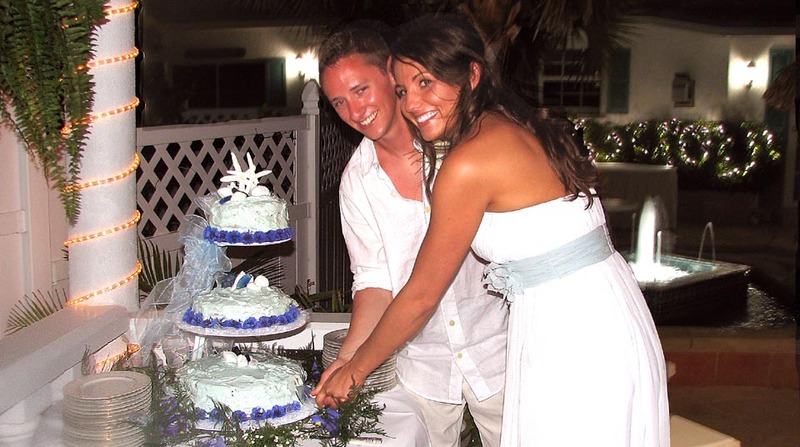 Weddings at the Romantic Island Cottage Inn and Spa in Flagler Beach, Florida. Thank you for considering us for your Wedding day. 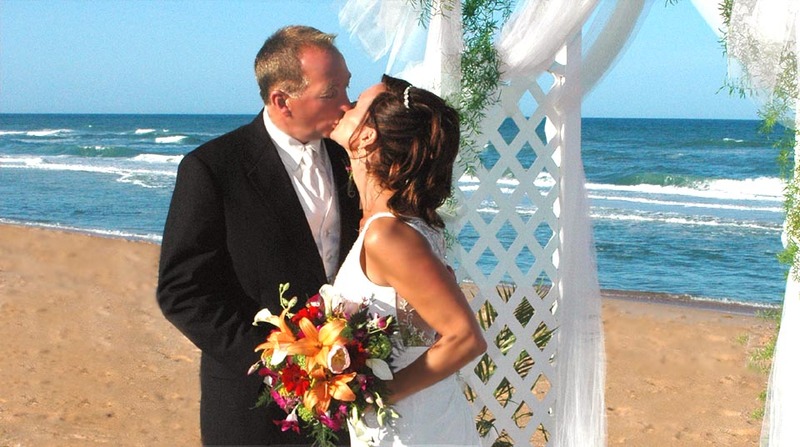 Here at Island Cottage we offer Wedding, Elopement and Vow Renewal Ceremonies on the beach or under the covered shelter of our lovely pavilion. “FREE” Enjoy a Late Check-out (2 pm) on your last day here! “FREE” Champagne in your room following your ceremony. “FREE” *5 inch personal Wedding Cake in your room following your ceremony. *Available Non-Holiday Weeks, April 1 to Dec 15 only. (Sorry, we do not permit ceremonies on our property from Dec 16 to March 31 or during holiday weeks). *Available during Mid out-going or Low tide only between Noon and 5 pm. 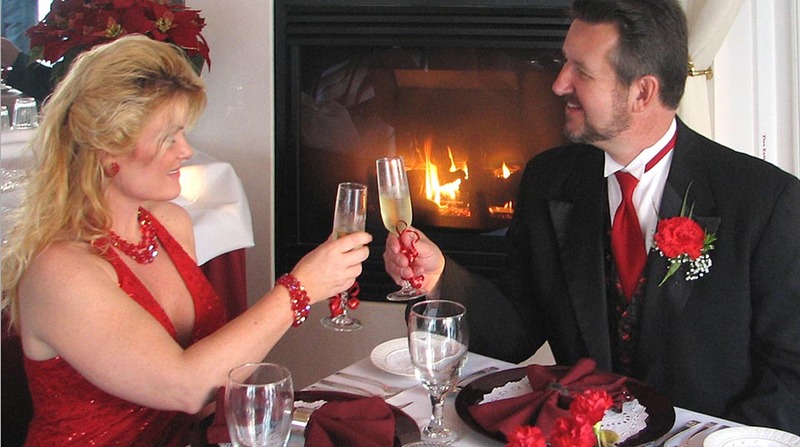 *ELOPEMENT CEREMONY ATTENDEES – 4 additional persons MAX. NO EXCEPTIONS. *Guests not staying at the Inn coming in for the ceremony only may arrive no sooner than 15 minutes before ceremony & must depart immediately following the conclusion of your ceremony. *Absolutely NO GUEST’s CHILDREN or PETS are permitted in our courtyard. It is your responsibility to relay these policies to your guests. 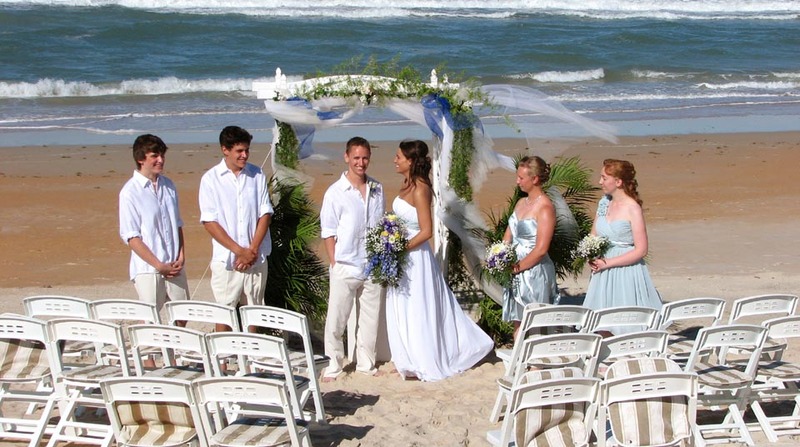 PLEASE NOTE: Inn guests who arrange their own ceremony without Innkeeper’s knowledge will still be charged the $395 fee for the use of the Inn’s Private Beach and Private Dune Walkover for their ceremony, plus $20 per person fee for every attendee in addition to the Bride and Groom. To obtain the most from these wedding-related fees, please be sure to book your event with the Innkeeper when you make your room reservation. 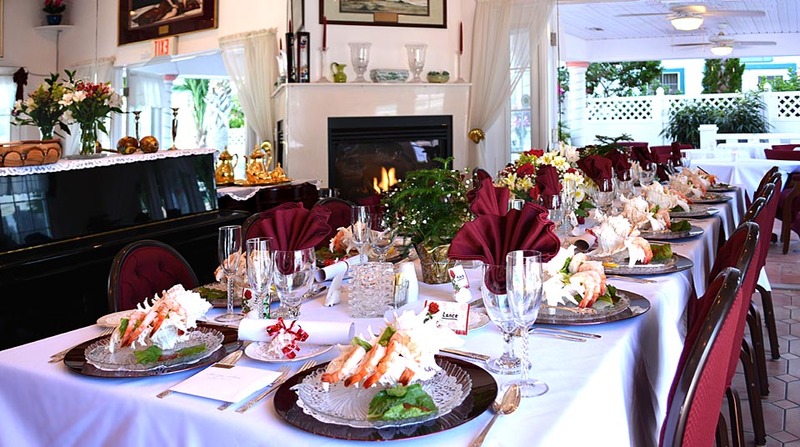 Entree & Vegetable – Choice of Fillet Mignon w/ potatoes or Salmon Piccata over rice. $399 per each additional couple (3 additional couples MAX.) includes event fee, set up and breakdown, tax, service gratuity. 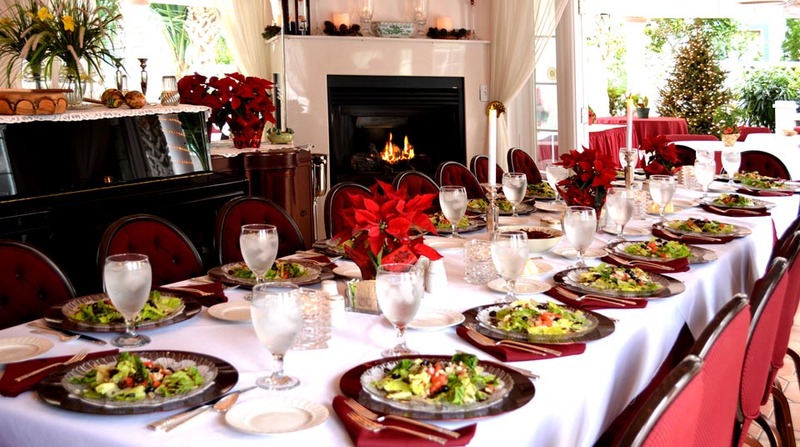 **Private Dinner requires at least 1 room to be reserved / 2 nights minimum. 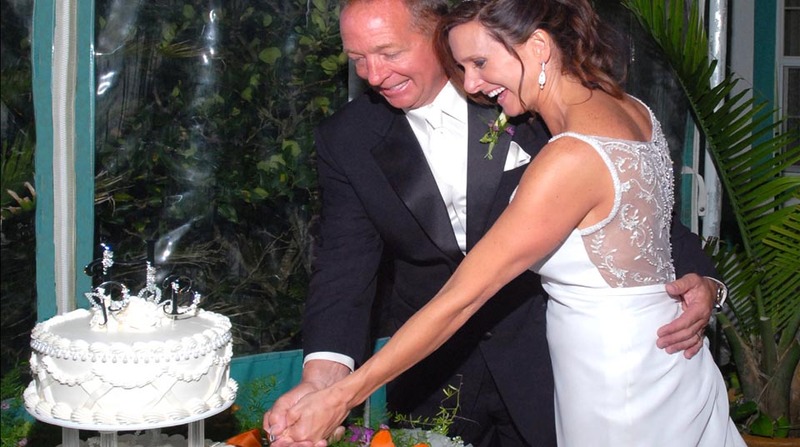 **Dinner is 1 hour after Ceremony or Vow renewal giving you time for photographs. **Appetizer & Entree selection must be made at least 2 weeks prior to your event. **NO CHECK-INS permitted on the day of your event. Because your event requires our complete and undivided attention, all 8 rooms at the Inn are INCLUDED in pricing. This assures you of our complete dedication while allowing you to surround yourself with your family and friends for two days! In addition to the honeymoon suite, Brides often take one room for them to change in and one room for the groomsmen to change in so the Honeymoon suite remains pristine. LATE (2 pm) CHECK-OUT IN ALL ROOMS! in surroundings to take your breath away! *Your event includes tables for 2 and 4, casually draped with fine linens and candles. *Your event includes tables for 2, 4 and 6 casually draped with fine linens and candles. Plated and Served Soup Course – Home made and delicious! Plated and served garden salad. 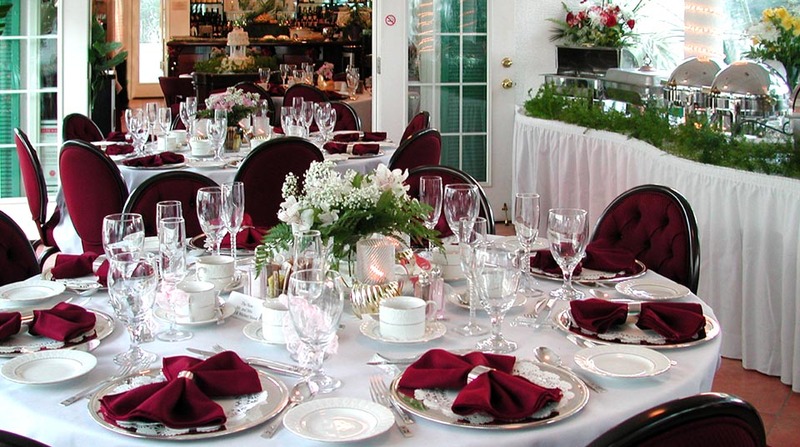 *Your event includes tables pre-set with fine linens, candle light, crystal and sparkling silver. 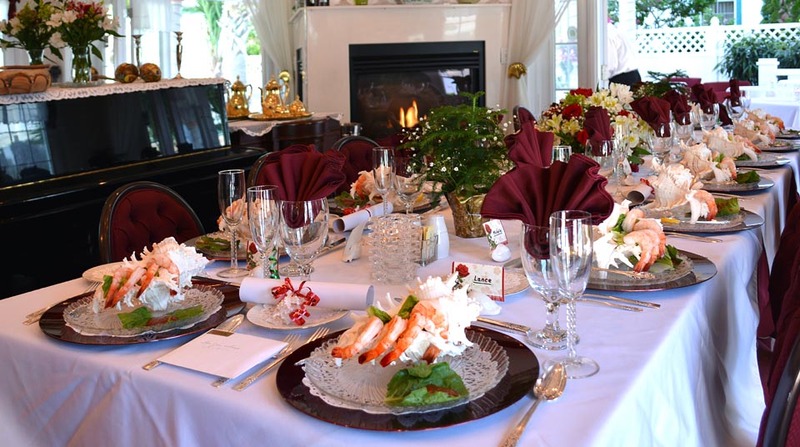 *Seating is predetermined – place cards on tables of 4, 6 and 8 as shown in rotating photos. *Your Entree Course is Buffet Style. *Start Times for reception – 1 hour following your ceremony to allow time for photographs. 3-Sausage with Semi-boneless Chicken (thighs) deliciously baked together with red and green sweet peppers, sweet onions & potatoes. 4-Vegetarian Lasagna – Pasta layered with Portobello mushrooms, onions, artichoke hearts, mozzarella and ricotta cheeses & red sauce. 5-Baked Ziti pasta with meatballs and sausage in savory home made sauce w/ green beans in creamery butter. *** A Musician or DJ for your ceremony of more than 6 persons is REQUIRED. After all, you would not think of going down the aisle of a church without an organist. Your Ceremony Musician(s) or DJ can be found on-line. Sorry, we do not make recommendations. *** A Musician or DJ for your Dinner is ONLY required if you plan to dance. *** For those that want background music only with no announcements and no dancing, you can provide us with your CD’s and we will play them on our sound system. We do not offer any dance announcements with this option (First Dance, Bride & Groom Introductions etc.) and we do not offer flower toss or Garter toss, etc. If those items are desired, a DJ will be necessary. Hiring a photographer is highly suggested if you wish your day to be professionally preserved. Your Photographer can be found on-line. Sorry, we do not make recommendations. Please go on-line for area officiants. Sorry, we do not make recommendations. *1/3 of rooms and 1/3 of all ceremony & wedding related items due by check or money order within 72 hours of making your reservation & setting your date – non-refundable under any circumstance. *$500 is processed on your card to cover the “unexpected”. This fee is refundable less expenses. *Inn guests who marry or Renew Vows on the Inn’s private property automatically accept our charge of $395 for the use of the Inn’s private beach and private dune walkover. To receive the “most” for your $395 ceremony fee, please be sure to make your ceremony arrangements with the Innkeeper when you reserve your room. *Ceremonies are Available during Non-Holiday Weeks ONLY – from April 1 to December 15 Only EXCLUDING SEPTEMBER. *Most couples are comfortable reserving their event dinner and Elopement Ceremony without needing to see our lovely property. For those who wish view our grounds & speak with our Events Coordinator, we charge a $200 fee for this appointment. This fee is applied to your 1st payment provided you make your wedding reservation here within 2 weeks of this appointment – otherwise, it is non-refundable. This fee is WAIVED if Bride and Groom make an advanced appointment to discuss their wedding plans while they stay at our inn for two nights minimum. PLEASE NOTE: IN ALL CASES, discussing your wedding plans will not include the ability to view our rooms as they are usually occupied. Please view our rooms on-line. *Event related Check-In(s) is the day before your Event (or sooner). 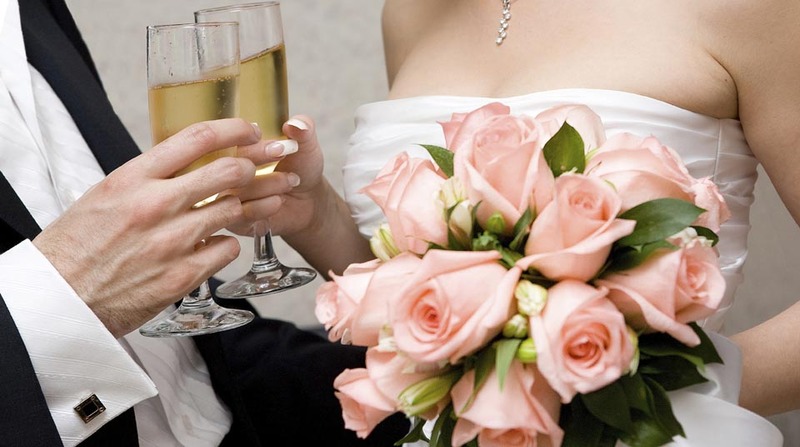 *Our Wedding Ceremony packages are EXCLUSIVELY for guests lodging here. *We do not permit use of our beach for ceremonies of persons not staying at the Inn. *Guests must make ceremony arrangements in advance with the Innkeeper based on the options above. *POSTPONEMENTS: If within 4 days prior to your event our County is under a Hurricane Watch or Warning for the date you have reserved, your event will be postponed to a date within 60 days of your original reservation date. Postponement 61 days to 186 days from original date is subject to a $1,000 extension fee. Postponements after 6 months of original date are not accepted and no refunds are given. *If Island Cottage must cancel your event for extenuating circumstances not created by you, your family, your vendors or your guests etc., your only remedy is limited to a full refund of monies paid to date to Island Cottage on behalf of your event.